Alien Bee: Celebrate THE SIMPSONS 500th Episode With This Cool Merchandise! Celebrate THE SIMPSONS 500th Episode With This Cool Merchandise! Santa Cruz Skateboards has released its Limited-Edition Bart Slasher Skateboard Deck. 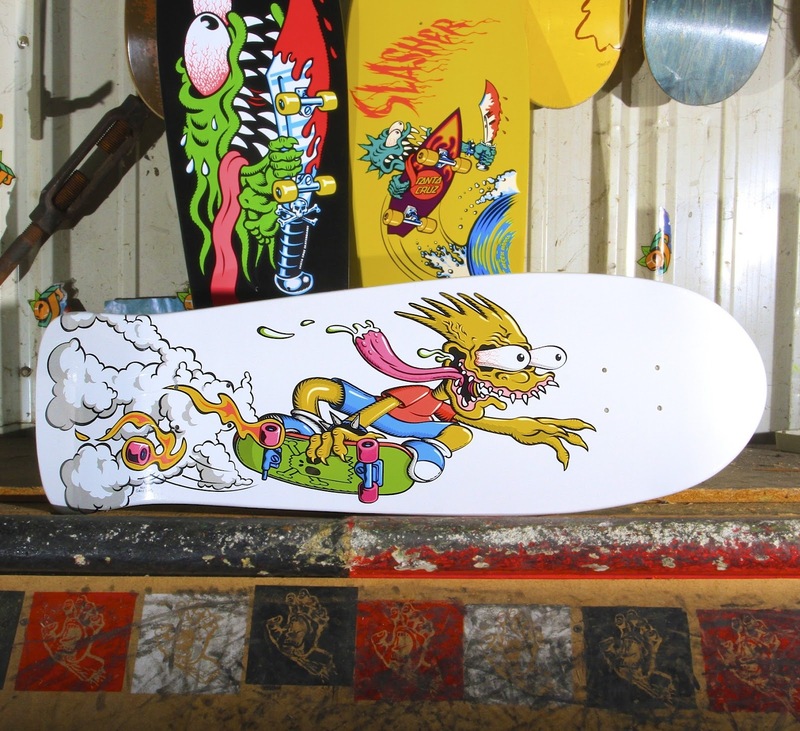 Limited to only 500 laser engraved numbered units, the Bart Slasher design is based on the original Santa Cruz Skateboards Keith Meek Slasher Pro Model made of 7-ply Maple and ready to shred! The limited edition deck is available exclusively on TheSimpsonsShop.com beginning February 15th! 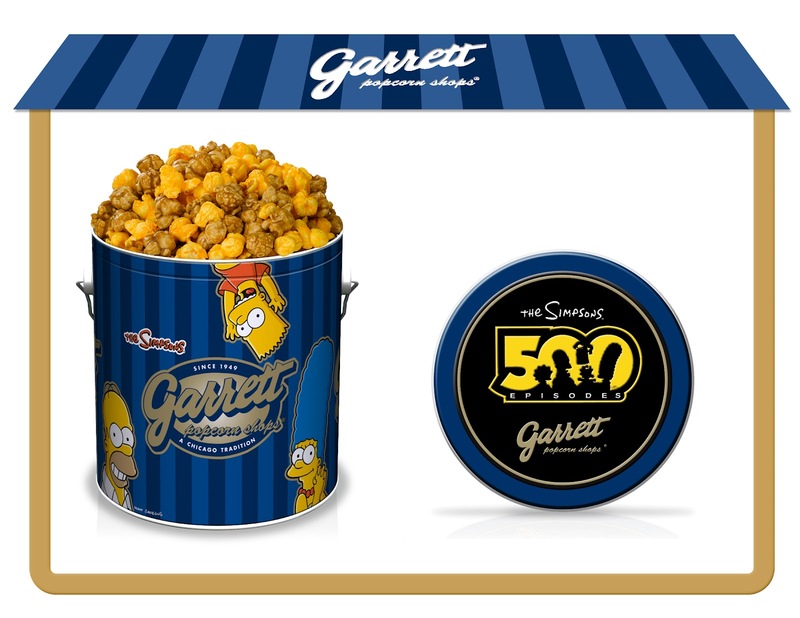 Garrett Popcorn Shops will be treating fans with the ultimate snack as they watch THE SIMPSONS’ make their mark on history! A fixture in Chicago’s culture for more than half a century, Garrett Popcorn is releasing a collectible tin filled with their signature popcorn mix to commemorate the show’s landmark episode. Kidrobot has unveiled the first-ever figure honoring Matt Groening to add to its series of Simpsons vinyl mini-figures. The 6” version of THE SIMPSONS creator will be featured in special 500th episode packaging and is available in Kidrobot stores and online at Kidrobot.com. T-Shirts - Changes has released a series of classic t-shirt designs exclusively for the occasion that will be available only on TheSimpsonsShop.com.